A tight Sky Bet League Two top-of-the-table clash ended with Lincoln taking a giant step towards the title with a victory which they just about deserved thanks to strong performances in both boxes. Lincoln centre-back Jason Shackell came closest to breaking the deadlock in the opening third of the game but his header was cleared off the line before Imps forward John Akinde, in trademark fashion, rolled in a penalty following a Ryan Harley foul on Shay McCartan. Harry Anderson’s cross was somehow diverted wide as Lincoln threatened a second. David Wheeler’s shot, which forced a decent stop from Matt Gilks, was the closest Milton Keynes came in the first half. There was a clear pattern to the second period with the Dons trying to force the issue but finding their attacks repelled before they could get close to Gilks's goal, and Lincoln always had a menacing counter-attacking threat. A chance for the hosts to equalise came in injury-time but substitute Chuks Aneke's header from close range was superbly saved by Gilks and Lincoln went up the pitch to seal maximum points with Bruno Andrade curling home a sweetly-struck shot. 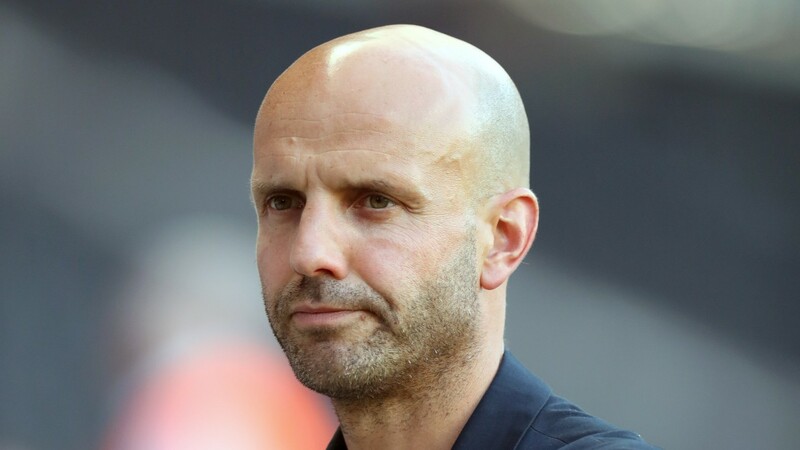 Dons boss Paul Tisdale is noted for being a tactical tinkerer and he certainly tried everything to help his side force their way back into the match. Tisdale's team started in a 4-4-2 formation with Wheeler alongside Kieran Agard up front and Jake Hesketh drifting in dangerously from the right flank. After the interval Wheeler moved to the right and Hesketh shifted into a number-ten position in a 4-2-3-1 which became a midfield diamond when Aneke was introduced to offer Agard further attacking support. Defensively the Dons dealt well with Lincoln's quality. Akinde was kept in check from open play by centre-backs Joe Walsh and Russell Martin with the mistake coming from Harley in giving away a penalty. The second goal came on the break when MK were hunting a late equaliser. Conor McGrandles showed some nice touches in midfield, but the biggest threat came from Hesketh, particularly when he jinked in from the right. If anything Tisdale's decision to move him inside nullified the on-loan Southampton youngster as Lincoln parked plenty of traffic centrally. There were not many poor performances from those in a home shirt – they were just up against the best side in the division – but the Dons could have done with more from 21-goal Agard, who has clearly been an important player for the club this season. On the rare occasion he was given a glimpse of goal his touch deserted him as he displayed a surprising lack of sharpness. On this evidence substitute Aneke looks a bigger danger than Agard and he will surely be disappointed if Tisdale fails to find a place for him in the starting 11 next time out. Aneke's header so nearly brought the Dons level and he was also professionally fouled by Michael Bostwick when he was about to break free on the edge of the box. The yellow card was probably just about right, but many inside the stadium were baying for red. Tisdale called it a "big decision" and added: "There was a covering defender but he was being fouled before the ball even got to him." Tisdale said: "It was a really good game. Lincoln were very tight and we came up just short, although I felt we deserved a point. I'm not unhappy with the players, it was a cracking game." This was a solid enough show from Milton Keynes, suggesting they are capable of remaining in the automatic-promotion places, although if it does come down to a final-day showdown between themselves and Mansfield then preference would be for the Stags. Bury's ongoing financial problems seems to be having a negative impact on their pursuit of a top-three finish but if MK have to go through the playoffs they would be the strongest of the four challengers. Lincoln manager Danny Cowley said his side showed "incredible" game management and control, adding that he was "really pleased with the tactical intelligence" as the Imps moved to the verge of promotion in front of their 5,500-strong travelling faithful. Cowley, alongside his brother Nicky, passes on so much information to the players during a game and it's clear they work on small details. They slow down the play when in front and seem to be disciples of the infamous Graham Westley school of mid-game water breaks. Lincoln are a robust team whose success is based on the fact that they are so methodical in key areas. Gilks didn't put a hand wrong in goal, Bostwick and Shackell are strong defenders, the tigerish Tom Pett was everywhere in midfield and the flair of Anderson and Andrade on the flanks supplements the hold-up qualities of target-man Akinde. Lincoln should be a top-half team in League One next season. MK Dons 4-4-2: Nicholls; Brittain, Martin, Walsh, Lewington (Cisse 65); Hesketh, McGrandles, Houghton (Walker 75), Harley; Wheeler (Aneke 55), Agard. Lincoln 4-2-3-1: Gilks; Eardley, Shackell, Bostwick, Toffolo; O'Hara, Pett; Anderson, McCartan (Frecklington 83), Andrade (O'Connor 90); Akinde (Rhead 90). MK Dons: Tranmere (a), Notts County (a), Port Vale (h), Colchester (a), Mansfield (h). Lincoln: Cheltenham (h), Carlisle (a), Tranmere (h), Newport (a), Colchester (h).